Need a professionally done job? Enhance your outdoor living space with luxurious hardscapes by Green Acres Lawn and Landscaping, Inc. These permanent structures are designed to be either functional or decorative and will offer a connection between your home and outdoor space. Imagine enjoying the Great Outdoors without leaving the comfort of your home by sunbathing on a customized pool deck. With the addition of a patio or an outdoor kitchen. Cool summer nights around a fire pit will surely create some memorable moments. By calling Green Acres Lawn and Landscaping, we will take your hardscape dreams and make them a reality! Our hardscaping services include design and installation, repair, and maintenance of any kind of hardscape you can imagine. 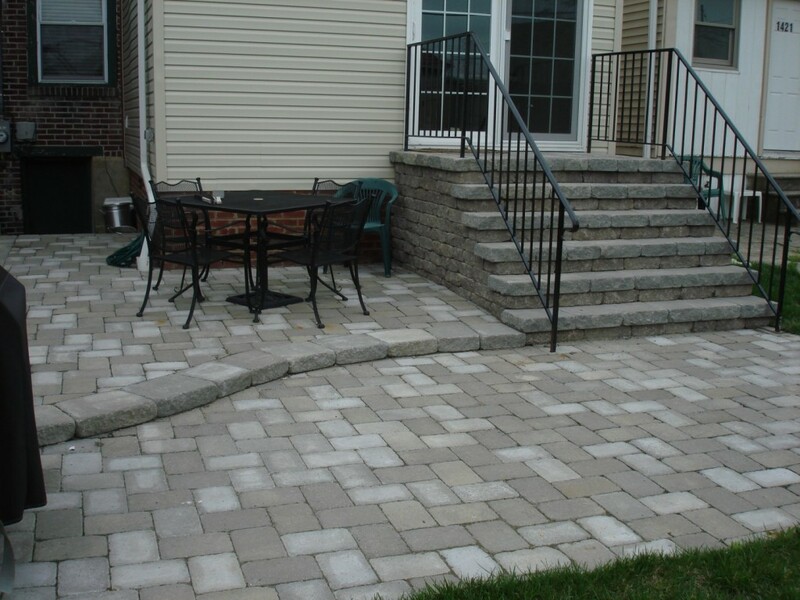 We can install natural stone walkways to create a flow between your home and garden, or use concrete pavers or mortar slate if you are looking for a less earthy appearance. Instead of treading up and down your hilly back yard, Green Acres Lawn and Landscaping can implement a staircase or stair tread to make the journey safer and easier on your body. Retaining walls are a great addition to your landscape because it can be both functional and decorative. We see every landscape as a blank canvas that deserves the absolute best artistry. Green Acres Lawn and Landscaping, Inc. will make sure to fill that canvas with works of art that you and your family will enjoy for years to come. Call today to learn more about our hardscape options. After being cooped up in the house during the cold winter months, you will want to take advantage of every moment of spring and summer. An outdoor kitchen will make sure you optimize your outdoor time and will also guarantee you will not miss out on everything during family barbeques or swim parties. Why should you be stuck indoors slaving over a stove while everyone is having fun?? An outdoor kitchen will make it easier to serve your guests without having to run in and out of the house. A custom-made retaining wall will help add dimension to your property, while also holding back soil. Our retaining wall designs can be as complex or as simple as you like. If you are not sure what would look best for your property, the hardscape design team at Green Acres Lawn and Landscaping will be happy to work alongside you to develop the perfect retaining wall for your home. Once spring and summer come around, you will be itching to get outside and enjoy the warm weather while it lasts. However, setting up a folding lawn chair on a lumpy lawn probably is not your idea of fun. Enjoy the summer the right way by installing a custom-designed patio that will offer enough room and comfort not only for you. While everyone is over, cook up some burgers and dogs in your outdoor kitchen.